The movement to boycott Israel and Israeli goods is simply stupid. Where is the movement to boycott the Palestinians who are teaching their children to kill Jews and instigating stabbing attacks in Israel? The people behind the boycott are either uninformed, anti-Semetic, or simply stupid. Now their boycott has hurt the very people they claim to support. Townhall.com posted an Associated Press story about SodaStream, an Israeli company that has been impacted by boycotts against Israel. “We employ 500 Palestinians here. Side by side, we have 350 Israeli Arabs and another 300 Israeli Jews. And we get along together. They’re not killing each other! They go to lunch break. We break bread together and we get to know each other,” he said. SodaStream pays Israeli wages — four times what workers would earn in the Palestinian Authority, where unemployment is 30 percent. And the workers say they’re happy, too. Yousef Besharat is a Palestinian Arab who works at the factory. He told CBN News his salary helped him to build a home in just a year. He said there’s no discrimination between Jewish and Arab workers at the plant. The chief executive of SodaStream International Ltd. says he has been forced to lay off hundreds of Palestinian workers after a factory was targeted by an international boycott movement and moved from the West Bank into Israel. CEO Daniel Birnbaum said the last 74 Palestinian workers left Monday after being denied permits to work inside Israel at the new factory. The global boycott movement seeks to ostracize Israel by lobbying corporations, artists and academic institutions to sever ties with the Jewish state. In all, about 500 Palestinians lost their jobs after the factory moved last year following a high-profile boycott campaign against SodaStream. Birnbaum said Palestinian workers are the main victims of the boycott. But he also criticized the government for not granting the work permits. Until the stabbing attacks in Israel stop, I think the government is correct in not granting work permits. However, the impact of the boycott is to remove a company where Israelis and Palestinians were working together in harmony. That company was making a good first step toward peace in the region. The boycott also results in economic hardship for the Palestinians that the boycott claims to support. That makes no sense. If the people doing the boycotting were attempting to bring peace to Israel and the surrounding countries, they just shot themselves in the foot. This is my statement on the current state of affairs in the Republican primary. I don’t support Donald Trump. I understand the anger of Trump supporters, and I share that anger. I just don’t think Donald Trump is the solution to our current problems. Emotionally, I just don’t like the man. His arrogance and mannerisms are in the same league as Barack Obama’s, and I don’t want to watch another four years of someone who thinks I am too stupid to see what is happening around me. I also haven’t heard any concrete ideas from Donald Trump about how he wants to accomplish what needs to be accomplished. Those ideas may be there, but they are not at the forefront. I don’t support Marco Rubio because I don’t trust his wisdom. He is too naive. Ken Palinkas—who served as the President of the United States Citizenship and Immigration Services (USCIS) Council during the Gang of Eight fight and is now a local chapter president for USCIS officers—weighed in on the fight between America’s Immigration and Customs Enforcement (ICE) officers and Sen. Rubio. In an exclusive interview with Breitbart News, Palinkas detailed the dangers a Rubio Administration would pose to national security and U.S. sovereignty—perhaps adding more trouble to an already embattled Rubio campaign. “He’s the wolf in sheep’s clothing,” Palinkas told Breitbart—explaining that Rubio would “absolutely” represent President Obama’s third term on immigration. As I said, the purpose of this article is to give readers some things to consider. I think he is the smartest and most principled candidate running. Neither of these traits will ever win a popularity contest (and both traits tend to be disliked by those who do not have them), but I believe they are important traits in a presidential candidate. Ted Cruz has already proven that he will defend the U.S. Constitution. He respects the Constitution and plans on upholding it. I am not sure Donald Trump understands that as President, he would represent one of three branches of government. Donald Trump does not do well as one of three. Ted Cruz has already stood up for the values that are important to me. It is up to the voters to decide if those values are important to them. He has pledged to defund and investigate Planned Parenthood, stop the Iranian nuclear deal, end Common Core and defend the Second Amendment. That works for me. If you are reading this, your vote counts as much as mine. I hope you will consider what I have said. Just vote. One educational issue that has recently come up in American schools is the teaching of Islam. Although most Americans agree that it is appropriate for students to learn about Islam, many parents have been alarmed at what seems to be the indoctrination of students into Islam. Charges of indoctrination by Tennessee parents are reminiscent of a case in California where a federal lawsuit was filed against the Byron Union School District concerning a three-week course about Islam seventh-graders that used the workbook, Islam, A simulation of Islamic history and culture. Dress up as a Muslim and try to be involved to guarantee an excellent grade. Pick Islamic names and wear them around your neck as ID tags. Read the fatiha, the opening chapter in the Koran and recited by Muslims at every daily prayer. Play a dice game called Jihad by declaring a jihad against another group. Jihad is a struggle by Muslims against oppression. Complete the phrase required for conversion to Islam. Complete the Five Pillars of the Islamic Faith. Analyze certain verses from the Koran. I have never seem a similar lesson in a public school regarding Christianity. Again, I believe that it is appropriate to teach the basics of Islam (as it is appropriate to teach the basics of Christianity and Judaism). Islam, Christianity, and Judaism are considered the major religions of the world, and I believe it is to our advantage to let our students know the basic facts of each. Indoctrination is an entirely different matter. Tennessee has taken action in this matter. AN ACT to amend Tennessee Code Annotated, Title 49, Chapter 6, Part 10, relative to curriculum for K–12 public schools. for grades prior to grades ten through twelve (10–12). (b) The state board shall provide curriculum standards for grades ten (10), eleven (11), or twelve (12) that teach comparative religion as it relates to history or geography, but no religion shall be emphasized or focused on over another religion. (c) If the curriculum standards in grades prior to grades ten through twelve (10–12) include a reference to a specific religion or the role and importance of a religion in history or geography, then the state board shall ensure that the reference does not amount to teaching any form of religious doctrine to the students. In January, the bill was sent to the Education Instruction & Programs Subcommittee. It is not yet passed. I am not sure exactly what was being taught in Tennessee, but the fact that the California curriculum included declaring Jihad on another group is an indication that this curriculum is not as harmless as it should be. Part of the teaching of the Koran is the idea that Muslims are obligated to spread Islam peacefully or violently. The ultimate goal is a worldwide caliphate. That is not an abstract concept, and we are not immune from that quest. We need to remember that the Ottoman Empire existed until the early 1900’s. That was the caliphate. 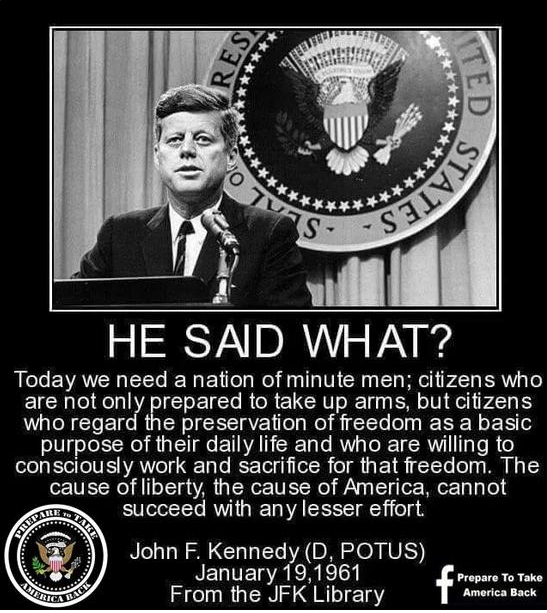 The goal is to recreate it with America included in it. Part of the methodology in including America involves the education of our children at all levels. The Muslim Students’ Association (MSA) is operating in our colleges with that goal in mind. Organizations (named as unindicted co-conspirators in the Holy Land Foundation trial) include CAIR, the Islamic Society of North America (ISNA) and the North American Islamic Trust and others. For further information on the plan to bring America into the caliphate, please see the official Federal Court translation of Government Exhibit 0036-0085 3:04-CR-240-G in U.S. v Holy Land Foundation, et al. with punctuation, line spacing and spelling intact. You can find that document by googling “Holy Land Foundation exhibits.” It is a document all Americans need to be aware of. It is eye-opening. This is not a new article, but I think it is something that needs to be looked at in view of the current presidential campaign. In October 2015, CNN reported statements made by John Kasich about Social Security. There are some serious problems with Social Security and no obvious solutions, but while we are looking for solutions, young workers in America are still having Social Security deductions taken out of their paychecks despite the fact that they will probably never see a penny of that money. There are a few reasons for the problems with Social Security funding. The first problem is the declining birth rate. We need more workers paying into Social Security to keep the system going. Those workers may never see the money, but we need them paying into the system. That is dishonest, but that is the way it is set up. President Obama and some members of Congress are trying to avoid the problem by importing workers. Illegal immigrants who apply for work permits in the U.S. under President Obama’s new executive actions will be eligible for Social Security and Medicare, the White House says. Under the sweeping actions, immigrants who are spared deportation could obtain work permits and a Social Security number, which would allow them to pay into the Social Security system through payroll taxes. So for ten years we will have more people paying in, and then after ten years many of those people will be looking for money–a temporary solution at best. Another reason for the problems with Social Security is that there is no Social Security trust fund. Since the 1960’s, Congress has spent the money deducted from paychecks for Social Security. Anyone who served in Congress is responsible for allowing this to continue. “We can’t balance a budget without entitlement reform. What are we, kidding?” Kasich said when asked about his opponents who say they won’t touch entitlements. Kasich said he was part of the effort to reform Medicare and Medicaid in the ’90s, and that he also had a plan to change Social Security so that initial benefits were lowered for individuals not yet near eligibility. He asked audience members to raise their hands if they were far from receiving Social Security, asked them if they knew yet what their initial benefit would be and then asked them if they would be bothered if it were a little lower for the good of the country. One person said it would be a problem. “Well, you’d get over it, and you’re going to have to get over it,” Kasich joked. First of all, Social Security is not an entitlement–the people currently working have been paying into it since they started working. The majority of the people currently collecting it have paid into it during their entire working career. Entitlements are things that people get for free that they never worked for or paid into. I think our welfare programs should be seriously cut before any cuts are made to Social Security. I also think that younger workers should be given the option of setting up tightly controlled individual retirement plans that would be out of the government’s reach when it comes to spending money. A large part of the problem with the current Social Security system is that Congress has not acted in a fiscally responsible way. We cannot change the past, but we can fix the future. I don’t believe I want John Kasich to be the person attempting to fix the future of Social Security. Yesterday The Washington Free Beacon reported that the Federal Election Commission has sent a letter to Bernie Sanders‘ campaign committee about illegal donations to the campaign. However, Sanders’ donors have also run afoul of federal campaign finance laws, and his financial disclosure reports have been riddled with errors. Many of the foreign donations come from people in countries that support socialism and want to help the Sanders’ campaign. However, the campaign needs to follow the law and practice the transparency that it preaches. Many public figures are endorsing their candidates for President. In recent days Franklin Graham has endorsed Donald Trump, as has Chris Christie. On February 16th, Allen West posted an article indicating the choice of Thomas Sowell. Thomas Sowell has been an intellectual giant in the conservative movement for decades. Despite rarely making appearances in the media, the economist and author has managed to become a household name among conservatives. If the Republicans are to avoid having Donald Trump lead them — and the country — to disaster, they are going to have to have the majority of non-Trump supporters get behind some given candidate. Ted Cruz would be better for America than Donald Trump. I understand the anger of American voters–I am angry too–but voting out of anger will not get us where we need to go. Donald Trump is an accomplished businessman, but that does not guarantee that he will be a good President. I honestly think that he would be a bad choice. Attorney General Loretta Lynch said Wednesday that federal law flatly prevents President Obama from sending of the the detainees from Guantanamo Bay to U.S. territory, hurting his ability to follow through on his new closure plan. “That is the state of the law,” she said, pointing to the most recent defense policy law passed late last year, which cleared Congress on a bipartisan vote and which Mr. Obama himself signed into law. Lynch also pointed this out during testimony in November of last year. Now you do have to be aware of the weasel words in that statement. The weasel words are, “With respect to individuals being transferred to the United States, the law currently does not allow that.” I suspect President Obama will attempt an executive order to supersede that law or find another way to get around it. I seriously doubt he will be stopped from moving Guantanamo prisoners here. Speaker Paul Ryan immediately pushed back on the proposal, reminding President Obama about bipartisan legislation recently passed in the House and Senate banning detainees from being transferred. Today, Ryan threatened the White House with a lawsuit should President Obama proceed unilaterally. Really? A lawsuit? Really? How is that any different than a strongly worded letter or an idle threat? If President Obama attempts to bring terrorists into America, he needs to be impeached. End of story. He will have broken his Oath of Office and needs to be removed. Now maybe I missed something (which is quite possible), but I wasn’t aware that the KKK membership was now open to black people. Look closely at the picture. 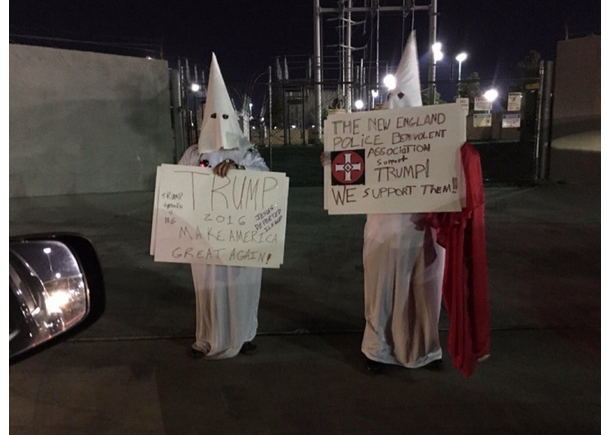 At least one of the alleged KKK sign holders is black. It makes you wonder who is actually responsible for this protest (or whatever it is). CNS News posted an article yesterday about Secretary of State John Kerry‘s appearance before the House Appropriations Subcommittee on the Department of State and Foreign Assistance. “I will make a decision on it as soon as I have that additional evaluation and we will proceed forward from there,” Kerry said. Kerry was responding to a question put to him by Rep. Jeff Fortenberry (R.-Neb. ), who is the sponsor of a resolution that would declare on behalf of Congress that it is in fact genocide. Kerry: Well again Congressman thank you for a very moving and eloquent description of the problem. And I appreciate, you were lucky to be in that room to witness that, and I certainly appreciate your reactions to it. And I share just a huge sense of revulsion over these acts, obviously. None of us have ever seen anything like it in our lifetimes. Although, obviously, if you go back to the Holocaust, the world has seen it. We are currently doing what I have to do, which is review very carefully the legal standards and precedents for whatever judgment is made. I can tell you we are doing that. I have had some initial recommendations made to me. I have asked for some further evaluation. And I will make a decision on this. And I will make a decision on it as soon as I have that additional evaluation and we will proceed forward from there. I understand how compelling it is. Christians have been moved in many parts now of the Middle East, I might add. This is not just in Syria, but in other places there has been an increased forced evacuation and displacement, which is equally disturbing, though it’s not—you know, they aren’t killing them in that case, but it’s a removal, and a cleansing ethnically and religiously, which is deeply disturbing. So we are very much focused on this. And, as I say, I will make a judgement soon. I am amazed at the Secretary of State’s ability to ignore the obvious. I am reminded of President Clinton’s comment that he regretted not intervening in the genocide in Rwanda in the 1990’s. But in the years since, the former President Clinton has called the failure to intervene in Rwanda one of his biggest regrets. In March 2013 Clinton again talked Rwanda, when he told CNBC that he believes had the U.S. intervened, even marginally, at the beginning of the genocide at least 300,000 people might have been saved. Admittedly, this statement may have been made with Hillary Clinton’s political future in mind, but the fact remains that sooner or later, all of us have to live with the consequences of our actions. Someone much wiser than I once said, “Always keep your words soft and sweet, just in case you have to eat them.” That man was Andy Rooney. Eating your words is something no one likes to do, but in this age of digital information, everything a public figure has said can be easily discovered. If you follow the link above, it includes the C-SPAN video of Vice President Biden making this statement. John Hinderaker at Power Line posted an article yesterday about a wildlife plan in Massachusetts that seems a little unwise. Massachusetts had made some bad decisions in the past concerning wildlife–resulting in a rabies problem in certain areas of the state and an overabundance of raccoons, skunks, coyotes, and fisher cats, but this decision is really a bit over the top. …There are only about 200 of the endangered snakes indigenous to Massachusetts left in five scattered pockets from greater Boston to the Berkshires, French (Tom French of the state Division of Fisheries and Wildlife) said. Loss of habitat and human-caused deaths means they could disappear altogether, which is why the Quabbin project is so critical. When Massachusetts built Route 128 around Boston, they discovered nests of rattlesnakes. Those nests are pretty much gone now. I suspect that most residents of the state consider that a good thing. I think we can expect property values on the mainland overlooking the island to decrease rapidly. This is simply not smart. President Obama has again announced his plans to close the terrorist detainee center at Guantanamo Bay, Cuba. Politico reported yesterday that the Pentagon planned on releasing its plan to close the facility and move the prisoners to the United States. President Barack Obama presented a long-shot plan Tuesday to shutter the Guantanamo Bay detention center, hoping to fulfill an elusive campaign promise before he leaves office next year. …The Guantanamo Bay closure plan, which took months to produce, offers no specifics on where a US facility would be, but military officials have previously listed Fort Leavenworth, Kansas or the US Navy brig in Charleston, South Carolina among the possible destinations for inmates. The US leader has long argued that many Guantanamo prisoners should be transferred overseas and some should be tried by military courts. A small number — those deemed too dangerous to release but too difficult to prosecute — would be held in the United States. So what is the problem with this? In the closing, some prisoners would be released to various countries. As of July 15, 2014, 620 detainees have been transferred out of the detention facility. Of the total, 107, or 17.3 percent, have been “confirmed of re-engaging,” which is defined as being directly involved in terrorist or insurgent activities. Nearly half of those — 48 — are now dead or in custody. Many of the former detainees have attained ‘superstar’ status in the terrorist groups they now lead. Closing Guantanamo is a really bad idea. Unfortunately, the prison could have been a valuable asset in ending the war on terror had it been properly used during the Obama Administration. The Obama Administration did not send anyone to Guantanamo, instead they used drones to simply kill terrorists. At least sending them to Guantanamo to be questioned might have given us some of the intelligence we needed to predict the rise of ISIS. There is also the problem of putting terrorists in prison on American soil. The lawyers will have a ball claiming civil rights that non-combatant terrorists are not entitled to (under the Geneva Convention or any other convention). There is also the risk of a nearby school, mall, airport (pick your target) being taken hostage so that the terrorists will be freed to commit more terrorism. All in all, closing Guantanamo is a really bad idea. It will make America less secure–not more secure. I realize that there are children and teenagers who may be confused about their gender. It might not be a bad idea to give them their own bathrooms, but allowing teenage boys (regardless of whether or not they are confused about their gender) into teenage girls’ bathrooms is creating a situation that has risks for beyond the simple sexual confusion of the person using the bathroom. I agree with Lt. Governor Forest’s statement. After the primary, Jeb Bush suspended his campaign, so there are essentially five candidates remaining–the top three are Donald Trump, Marco Rubio, and Ted Cruz. So what can we conclude from this? The only Republican establishment candidate left is March Rubio. He is not the Republican establishment’s first choice, but he is the only remaining establishment candidate. The only true conservative in the race is Ted Cruz. We can expect to see more vicious attacks against him in the coming weeks both from the media and the Republican establishment. This is the beginning. If you truly want America to move in a positive direction in the future, I believe that Ted Cruz is your candidate. Be ready for the Democrats, the media, and the Republican establishment to go after Ted Cruz in a noticeable way. 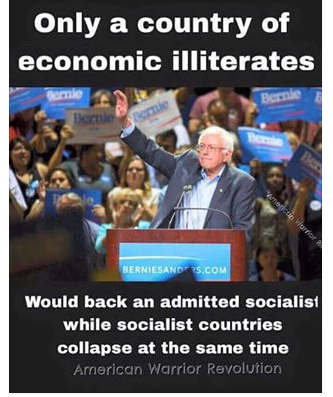 He is the candidate that is truly a threat to the status quo. It bothers me that President Obama chose not to attend Justice Scalia’s funeral. Evidently I am not the only person bothered. Charles Lipson is the Peter B. Ritzma Professor of Political Science and the founder and director of the Program on International Politicis, Economics and Security at the University of Chicago. On Thursday he posted an article at Real Clear Politics about President Obama’s absence from the funeral. President Obama’s decision not to attend Justice Antonin Scalia‘s funeral is shameful. It mirrors his decision to skip the state funeral for Margaret Thatcher in 2013. On these somber, formal occasions, the president is called upon to represent our country as the head of state. He is not representing his party, his political agenda, or himself personally. He is representing our country—or at least he should be. On Saturday, it is his duty to mourn a man who sat on the Supreme Court for decades. He is shirking that duty. President Obama missed the opportunity to bring the nation together. Unfortunately, during his term as President, he has generally missed opportunities to unite Americans. President Obama need not reach these rhetorical heights. But he ought to behave with quiet dignity and represent our nation at Scalia’s funeral. 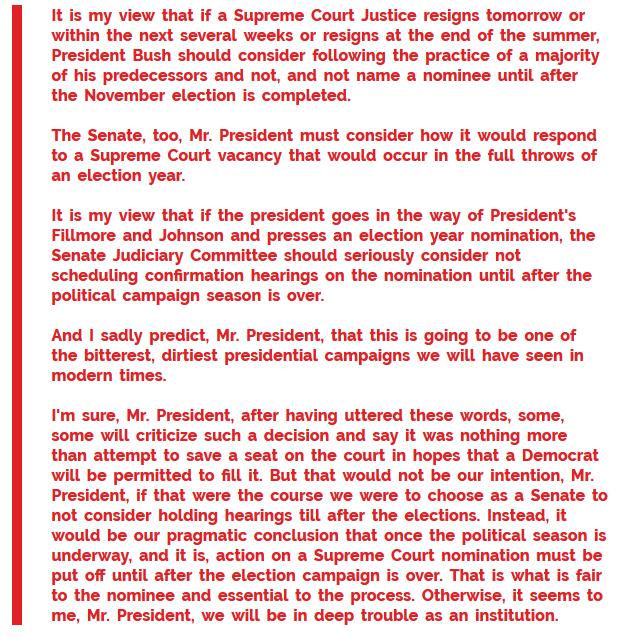 He does not have to pretend he agreed with Scalia’s decisions. He does not have to praise the justice’s judicial philosophy. But he ought to honor the life of a man who spent three decades on the Supreme Court and five years before that on the U.S. appellate bench. Refusing to attend the funeral does more than insult the memory of a life-long public servant. It is a failure to perform a basic presidential duty. Obama has shirked his responsibility to all of us. President Obama has not handled the office of President with class. He has exploited the office and divided Americans rather than uniting them. Hopefully, Americans will elect a President in November who will unite us and respect the office of President.